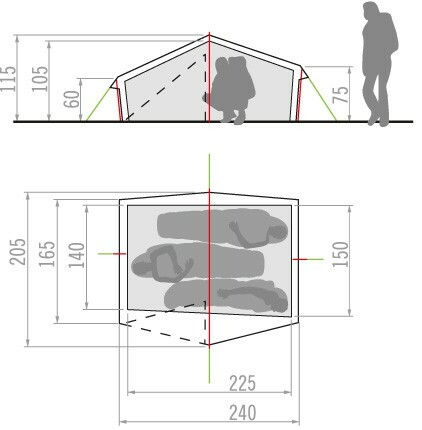 Double wall tent, ultra-lightweight construction in a hoop. Large vestibule. 3 seasons, 3 people. 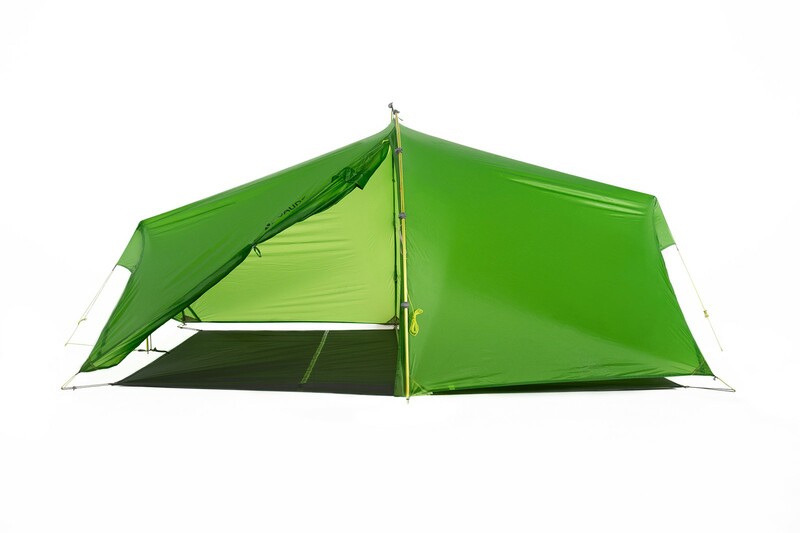 Probably the lightest tent in its category on the market! 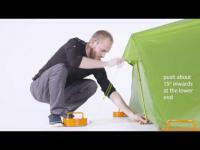 With less than 1.4 kg to its name, this 2-3 person, 3-season tent sets new standards in terms of weight to space ratio. With a trapezoid floor space and two poles at varying heights, this lightweight provides enormous amount of space, headroom and comfort. The vestibule also offers enough room for a large trekking backpack and enough weather protection as well. The entrance can be completely rolled up for more comfort and a better view. Several adjustable vents ensure a pleasant microclimate. 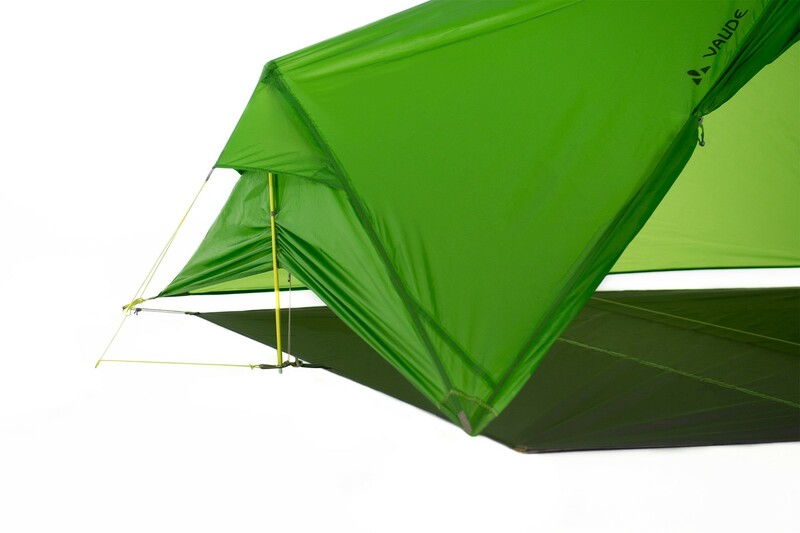 The tent boasts high wind stability, easy set up and small pack size. Our top favorite for longer trekking tours.